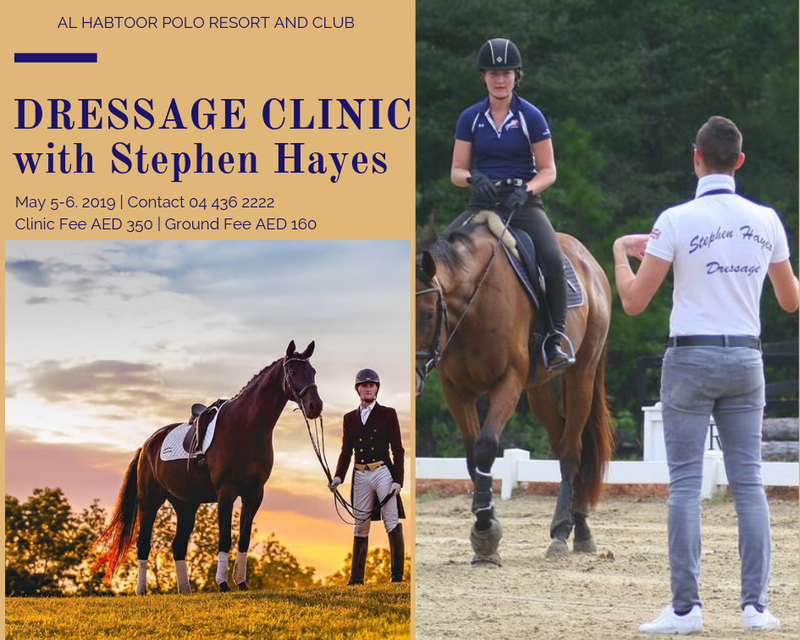 The Al Habtoor Polo Resort & Club, in addition to our own team of professionals, will be offering monthly clinics in all disciplines guided by international trainers and coaches. Our programmes offer flexibility, tailored to suit your needs to get to the next level. Please approach the team to propose any suitable trainers of your choice, we are here to listen. British dressage rider Stephen Hayes has competed through to the FEI levels within the dressage sport in Europe and the US, and is also a global dressage clinician. Spanish Team rider Beatrice Ferrer-Salat is one of the many Olympic riders Stephen has intensely trained with. Vicki Thompson-Winfield for Team GB is another Olympic rider he thoroughly trained with and competed for at her competition barn in Surrey, UK. Additionally, Stephen has spent 3 years at US-based Piaffe Performance, competing in the FEI Wellington show grounds under the watchful eye of Olympian Cesar Parra. With the knowledge and experience Stephen has gained through riding and training around extremely high profile judges and riders, he thoroughly enjoys transferring that through to his riders who attend his dressage clinics in the UK, Australia, Malaysia and of course his riders at ‘Perfect Harmony’ the training base in NY/Florida and throughout the USA.